Prayer is one of the central activities of Christian life. 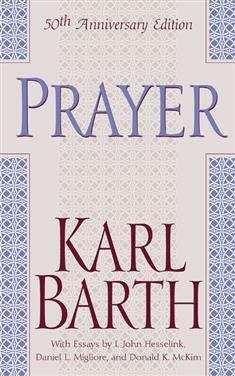 This anniversary edition of Karl Barth's lectures on the Lord's Prayer, along with supplementary essays by three Barth scholars, introduces us to what he had to say about this important Christian practice. For Barth, the ultimate aim of all theology is worship, and here he mines the theological and spiritual wisdom of Luther, Calvin, and the Heidelberg Catechism, urging us to participate in the work of God through prayer.